Southern France is warm and sunny nearly all year round. Bordering the Mediterranean Sea and the Pyrenees Mountains, it is the prefect place to escape the winter and try out some wonderful wines and soul-warming fare. For this class, we will make our virtual voyage to the Maison de la Région Occitaine,nestled in the heart of Manhattan! 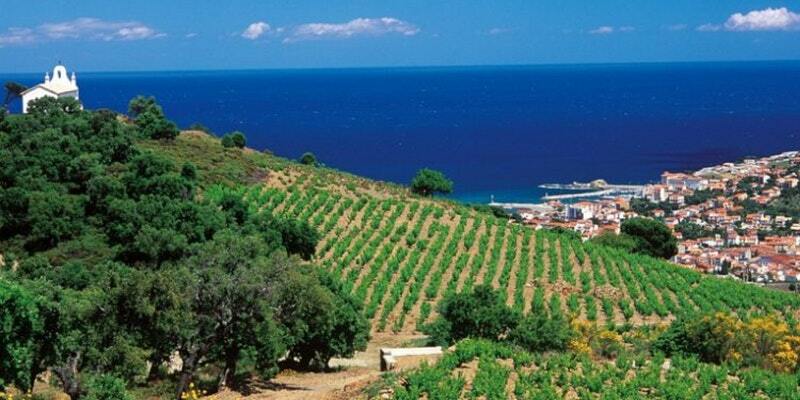 The Languedoc-Roussillon is the largest wine-producing region in all of France—and the rest of the world. Formerly known for producing low-quality, bulk wines, but recently, there has been a dramatic shift to lower yields and higher quality, so we are now finding some incredible wines and great value coming from the region. GSM—Grenache, Syrah, Mourvèdre—the classic southern grape trio, dominate the wines, giving them full-bodied richness and complex flavor. Additional varieties such as Cinsault, Carignan, Malbec, Tannat, Vermentino, Bourboulenc, Picpoul, among many others abound and blends are common throughout the region. AOC wines include Corbières, St. Chinian, Minervois, Faugières, Madiran, to name but a few. Sparkling and desert wines are found throughout the area as well. In Southern France, grapes ripen well in the warm and sunny climate. Mountainous terrain close to the Mediterranian Sea creates microclimates and a variety of geology, producing elegant wines of depth and finesse. The results are high quality wines that can be extremely delicious and very light on the wallet!